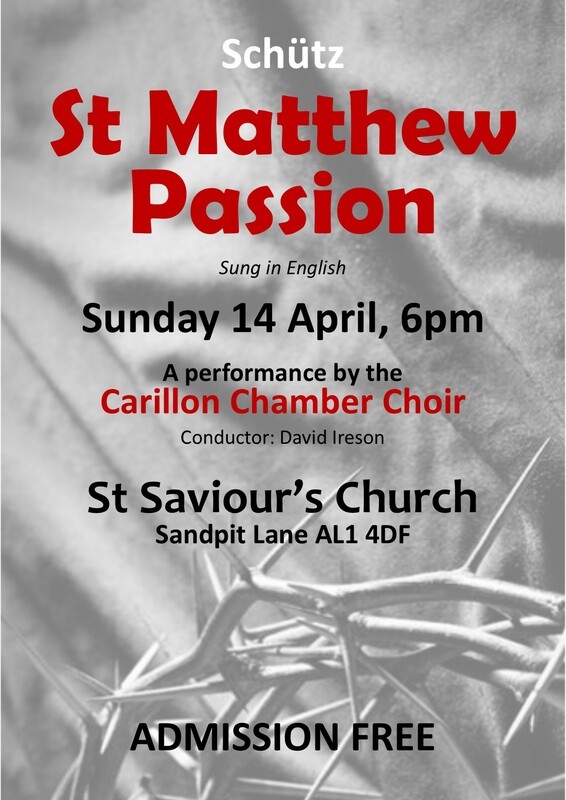 Sunday 14 April 6.00 pm: Carillon Chamber Choir present the St Matthew Passion of Schütz. Admission free. 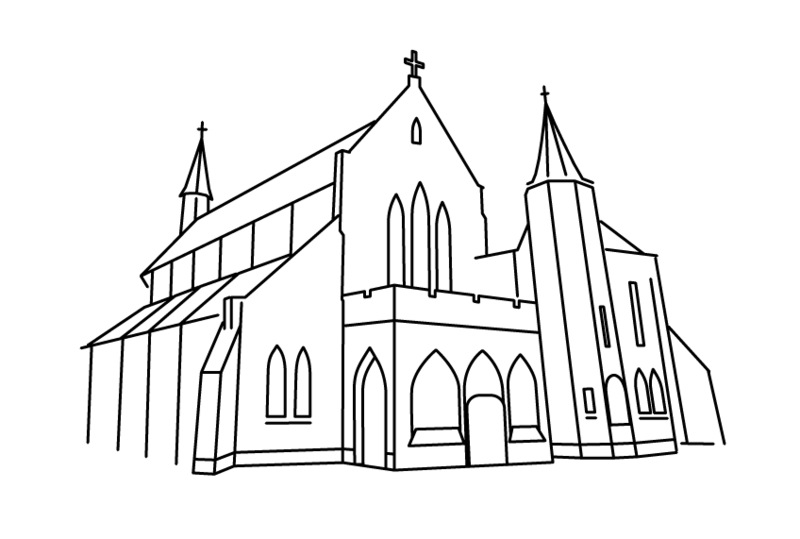 Saturday 11 May 7.30 pm: St Albans Symphony Orchestra, English Classics. More information here. Saturday 18 May 7.30 pm: Amadeus Chamber Orchestra, Mozart ~ Symphony no.35 (Haffner) K385, Haydn ~ Cello concerto no.2 in D, Beethoven ~ Symphony no.1 in C. More information here.